Love Bullough's Pond? Want to take a little bit home with you? Or send a little bit to a friend? 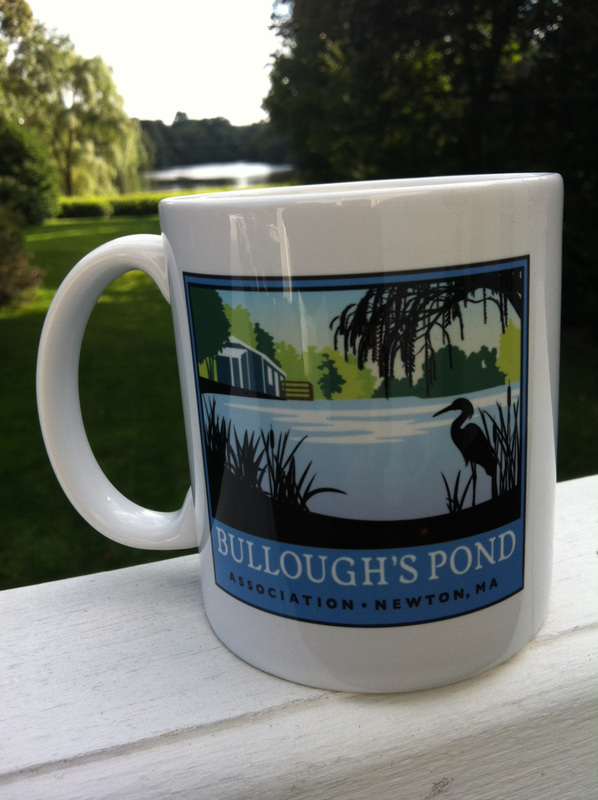 Why not treat yourself to a Bullough's Pond mug decorated with the BPA's stylish logo? 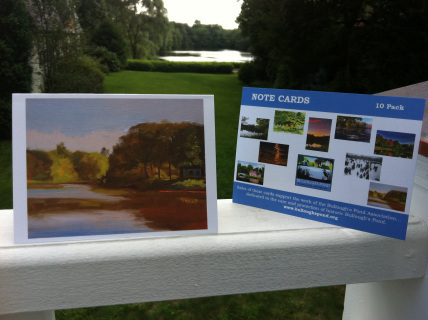 Or purchase a set of Bullough's Pond notecards featuring 10 different beautiful depictions of Bullough's Pond by local artists and photographers. And new for the holidays! - Beautiful Bullough's Pond holiday cards depict a peace sign in the snow on the frozen surface of the pond, plus a wonderful children's book all about the ducks on Bullough's Pond. Proceeds of all product sales support the environmental work of the BPA. Payment is simple, secure, and easy -- either through your PayPal account or by credit card. Clicking "Buy Now" will open a new window. If you have a PayPal account, log in via the box on the right in that window. If you do not, simply click "Continue" under the heading "Don't Have A PayPal Account". These lovely holiday cards feature a wintry view of Bullough's Pond and are blank for your message inside. 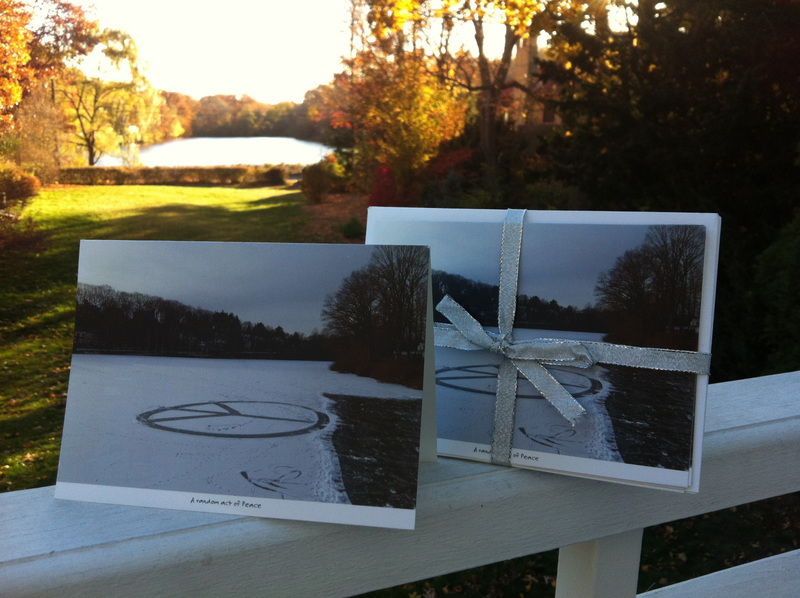 Photographer Gail Packer noticed that someone had swept away snow on the frozen pond to create a peace sign, and she took the picture. Five cards and envelopes per pack. A charming story for children about a boy who loves Bullough's Pond and the ducks that live there. 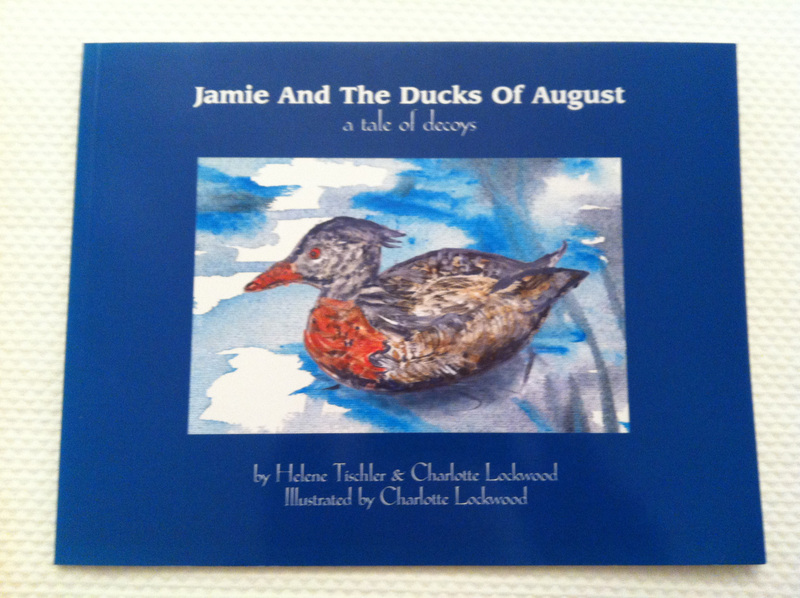 Written by Helene Tischler and illustrated by her Bullough's Pond neighbor, artist Charlotte Lockwood. Delivery Instructions: Please click on the button at right and send us your contact email address, phone number and street address. We will then contact you to arrange delivery.